Divorce is a process that is increasingly becoming common. But just because divorce is more socially acceptable doesn’t mean that it is the ideal solution for all marital disputes. In most cases separation can help a couple easily understand their own strengths and weaknesses and may even result in the repair of the relationship. But if you decide that divorce is the only way forward for you, it is necessary to get the assistance of a qualified solicitor who will help you file all the necessary paperwork correctly. A family lawyer can also represent you in court hearings that may be necessary before divorce can be granted. The first step in all divorce proceedings is the petition. Your solicitor can help you fill out and apply for the divorce petition. The paperwork for the petition will also highlight the reason why you are requesting to en your marriage. It is however worth noting that there is only one ground for divorce under UK law; the irretrievable breakdown of a marriage. But there are 5 legal facts you can use to prove this. They include adultery, unreasonable behavior that include physical and verbal abuse or even alcohol and drug addiction, 2 years of separation with consent, desertion and 5 years separation without consent. You must also be married for over a year to file a petition for divorce. If you have been separated for more than 5 years, it is not necessary for the other party to agree to the petition as the court will usually allow the divorce. This is a piece of paper that is sent to your spouse or the respondent. It is a form that your spouse will fill out providing information like whether the petition was received, when it was received and whether or not they agree to the divorce. If they agree, then you move on to the next step. If they don’t, the timing of the separation can come into play. Your solicitor should be able to help you fill out an application for decree Nisi. The application is filled out when the spouse doesn’t defend the divorce petition and simply states that there is no reason not to grant the divorce. While it is possible to apply for a decree Nisi even if your spouse doesn’t agree, there may be additional fees incurred. Once the decree Nisi has been granted, you will have to wait 6 weeks before applying for the decree absolute. This is the paperwork that finalizes the divorce and effectively ends the marriage. You can use the 6-week delay period to resolve any issues regarding child welfare or financial and marital assets. 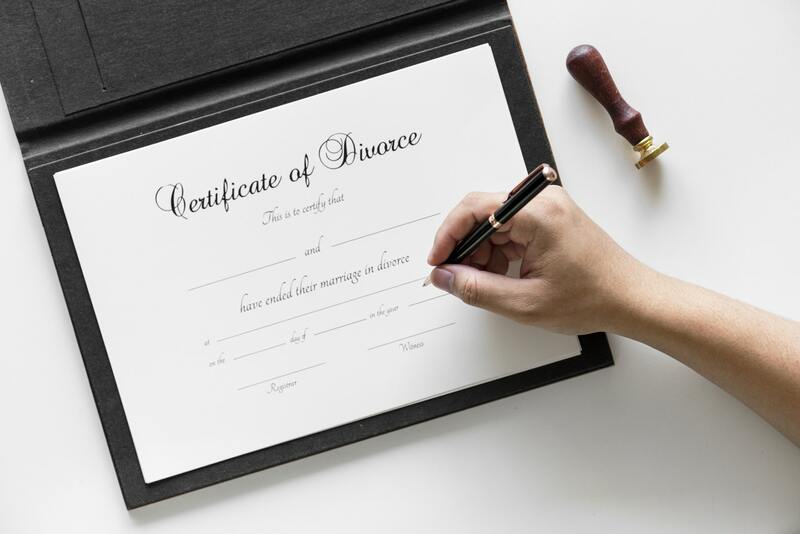 It is however worth noting that legal child and financial arrangements are considered separate from your divorce proceedings and will not impact the dissolution of the marriage once you have the absolute decree.